This is an exciting prospect for someone who has an interest in breeding or has always dreamt of breeding a future superstar but cannot afford a good enough mare to breed from or only wants to breed once. There are so many top stallions to choose from we can help you with your selection and what would suit the mare but ultimately you can take your pick! A good mare is so important to breeding a super foal this is why we want to only breed from mares with top class bloodlines and proven competition record and temperament. As well as selling embryos we will also be breeding our own foals and will often have a selection of foals for sale. 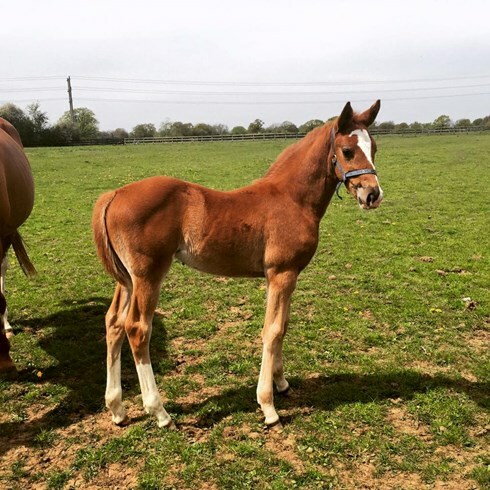 Step 7: Choose to take your foal home at weaning or leave it with us until it is older we are happy to look after your foal up to breaking and producing at three years old and can also compete and produce it further if you would like. For further information on armchair breeding or foals for sale please call Amy, send an email or fill out the contact us form at the bottom of this page. .